Sat, Feb 9, 2019, 07:22 pm SL Time, ColomboPage News Desk, Sri Lanka. 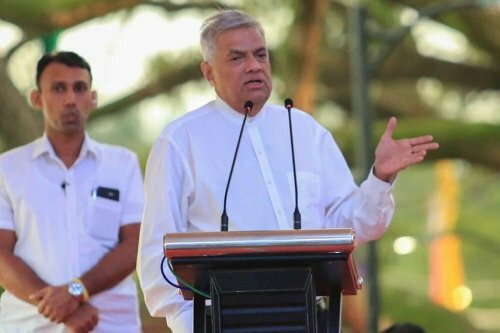 Feb 09, Colombo: Sri Lanka's Prime Minister Ranil Wickremesinghe says the government is now focused on increasing production and will promote an export economy to generate more revenue from foreign sources in the future. The Premier said new technology will be introduced in export sector and selected cities will be promoted and developed to provide best output on export crops. 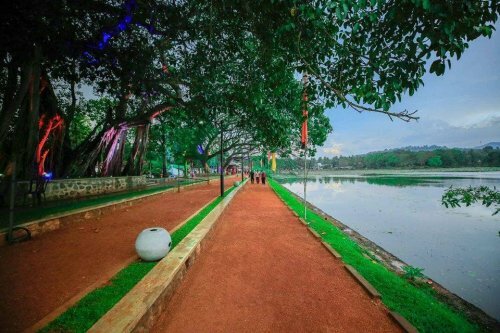 The Premier made these remarks participating at the inaugural ceremony of the Siri - Asiriya project which was launched yesterday in Kurunegala to develop the area around the Kurunegala Wewa. Speaking during the event the Premier said the government is now focused on increasing production and thereby revenue, and urged the public to rally around the present administration. According to the Prime Minister, export oriented crops will be identified and promoted with many concessions in future. Thereby, many entrepreneurs in SME sector will be established in the country. New exporters will also be introduced into the field. Prime Minister Wickremesinghe said Sri Lanka was a debt-ridden country in 2015 and saved from bankruptcy through a measured approach and a balanced economic model, following the appointment of the good governance government. "We faced a huge crisis in 2013 and in 2014. No one expected us to overcome this issue. Following the appointment of the good governance government in 2015, we have managed to stabilize the economy. Had we not, Sri Lanka would've been condemned to bankruptcy." The Premier said during the past few years, the government managed to stabilize the economy, managed to regain the GSP Plus trade concession among others. "Now we are attempting to increase production and thereby our revenues. We are expecting your support for this endeavor," he added. Speaking at the event, Minister of Megapolis and Western Development, Patali Champika Ranawaka says that according to the National Physical Plan Rs. 10 billion has been allocated to uplift the Kurunegala town to make it an important commercial city for the national economy.